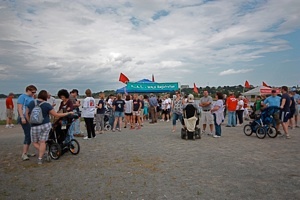 The first annual KAT-Walk was held at Back Cove in Portland on Sunday, September 13, 2009, to support the 'Brain Aneurysm Foundation' (BAF) and Southern Maine 'Dress for Success' (DFS). 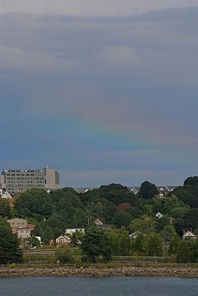 Close to 200 people enjoyed the wonderful weather and splendid rainbow. 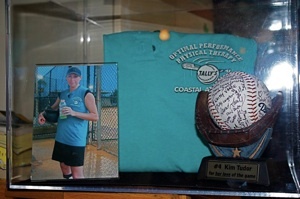 A post-event gathering was held at Bogey's Pub to toast and celebrate this achievement and share our memories of Kim. 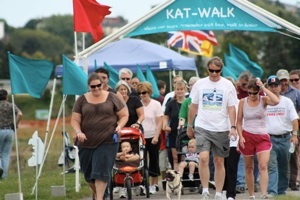 The KAT-Walk Committee, made up of Kim's family and friends, wish to thank all those who promoted, participated and donated toward making this inaugural event a great success. Receipts from donations totaled over $7,000 and financially helped the two causes.